The hotel is conveniently located just 20 minutes away from the city of Galway, on the N6. The good location and excellent access to the major road network makes the hotel a great base for business travellers wishing to visit the commercial hubs of Galway, Ballinasloe, Tuam and Ennis. Those visiting the region as a tourist or for a relaxing break can enjoy the excellent golf and fishing locally. Guests can also explore the vibrant city of Galway and the many historical sights in the region. Very nice spacious and welcoming hotel. Staff very efficient and helpful. Just in the outskirts of Loughrea and approx. 30 mins drive to Galway city. Food was very nice and excellent service also. Would recommend this hotel. Lovely hotel, food nice, staff nice, but not much to do in loughrea in the rain!! Beautiful Hotel with big rooms. The service was very good and the roof top Bar is fantastic. Lovely hotel, friendly staff and great food! Top class hotel enjoyed our stay rooms were very clean and the food was just amazing will be back again. Stayed in the hotel last Saturday night.25th of April.Really enjoyed our stay.Hotel staff were so friendly and our room was lovely. Dinner in restaurant was so nice. Would recommend this hotel for a break. Well done to all. Liz from Cork. Hi was staying in hotel last Friday and was very enjoyable stay . Rooms very big and nicely decorated with very comfortable beds. Delicious food and very friendly and helpful staff . Spa- had a hot stones back massage - very nice and professionally done . So overall experience 5 stars. Five of our club members spent 2 nights at the hotel, the break included dinner. The hotel was just great, we had connecting rooms which was fantastic, the meals were wonderful. We books spa treatments which were better than we could have wished for. The staff in the hotel and spa were just so nice, we are definitely coming back as soon as possible. The location of the hotel is great and Loughrea with the lake walks was beautiful, it was definitely the nicest hotel we stayed in over the last few years due to the staff. Beautiful hotel, friendly and helpful staff and the food was lovely! Ideally situated to use as base to get to Clare and Galway city. Would go back again and recommend to others! The spa charges 20e per person to use the facilities. They don't mention this in advance so we turned up at the spa with our towels and swimsuits and were turned away. They don't let you eat in the restaurant, the two course meal is in the bar. They are renovating so there were a lot of building works going on. The girls at reception were friendly and the quality of the food was good. I stayed at this hotel with my husband and 2 girls for three nights. The hotel was very clean but the hotel rooms were very warm and stuffy even though we had air conditioning on. Breakfast was very poor, no choice at all if you don't eat a mixed grill. However our evening meal was good, lots of choice but very disappointed with breakfast. Very enjoyable few days at Lough Rea Hotel and Spa . The staff were very helpful and friendly. The food was lovely The rooms were very spacious and very clean . Quiet location with easy access to Galway, staff were all very friendly and helpful, nice clean rooms and the food was excellent. The only bad point was the poor wifi reception but apart from that the hotel couldn't be faulted. Will definitely be back. Staff were extremely friendly and helpful, room was very clean with lovely view of the lake. Food in bar was really nice and good choices, I'd especially recommed the chicken wings! One criticism I would have is the WIFI is awful Would definitely stay here again though, more than worth the price we paid so thank you. Hotel was lovely, all staff extremely friendly. Food in the Abbey restaurant was just top class and exceptional value considering the offer. Bedroom felt a little neglected and needs bit tlc or major clean. The hotel is very modern, the rooms are spacious & comfortable. Food in restaurant was very good. The bar food was very poor, The roast beef was dried out and so was the steak. We asked for plain pasta for a child and were given pasta covered in sauce. We sent it back. We requested a dessert for our child from the children's menu and were informed that it was not available as the menu was an old one. The hotel itself is clean, bright and modern and the staff were efficient on arrival. The room was really lovely, plush, modern and clean. The bed was superbly comfortable. During our stay we ate in the hotel all the time and we found the bar food to be tasty and reasonable, but the food in the restaurant far surpassed any hotel restaurant food I have come across in such an establishment. It really was delicious. I had a spa treatment and used the spa facilities afterwards and felt thoroughly relaxed. 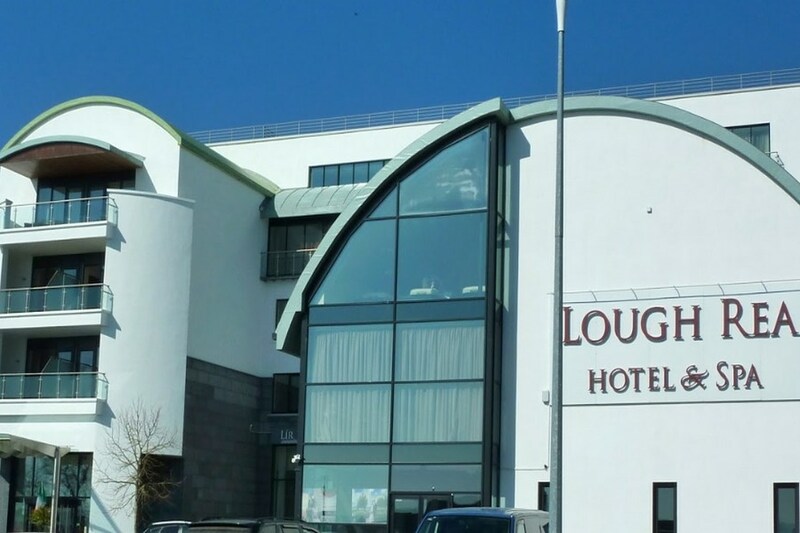 As there is not much to do or see in Loughrea (that we found) you really should pick this hotel if you plan on just holing up for a weekend. The thing that stands out more than anything is the staff employed here. They were personable, extremely friendly, nothing was too much trouble and they were a pleasure to deal with. Spent the weekend with my husband and 20mth old son. Staff were always very pleasant and helpful, hotel decor lovely and modern. Those were the plusses. However...the window in our second floor bedroom were not sealed properly and the noise of the wind kept us awake the second night we were there (it was particularly blustery outside). In addition, the draft was so strong the curtains were moving although the window was fully closed. My son now has a bad cold which came on when we got home - probably from the draft because he was sleeping in a travel cot. Another drawback was the meal in the restaurant on the Friday night. I had to send it back. I odered cod which came with mash and a side order of veg. I had asked for the sauce for the cod to be on the side but when i got my plate, there were scoops of mash in a circle with the sauce poured all over it with the fish sitting on top. The mash was hard and flakey on the outside and clearly had been sitting for a long time ready to go with the sauce already over it. The bowl of veg (green beans, carrots etc.) came from a frozen packet and it showed. The green beans were dried up and shriveled and the carrots were discoloured and white because they were so old. If that wasnt enough, the dinner was only warm - not hot. I was totally turned off the food and ended up eating a few chips that I asked for after sending the meal back. The breakfast the next morning was ok but not great. The bacon was again left so long it was hard and dry, much like the eggs and the other cooked breakfast options. Everything looked as though it was cooked at 8am and, if not eaten, was going to still be there by 10.30am when breakfast finished. Thankfully, the rate we got was so affordable that we didnt mind paying it. However, I would have been disgusted had we been paying full price for what we got. Again, I can't emphasise enough about how good the staff were - the meals and the very drafty second floor badly let them down. I'm awarding the three stars for the modern decor, Playtown and the lovely staff. I really enjoyed our stay at the hotel last week. Our room was beautiful with a view of the lake. The staff were very helpful and friendly. Our dinner and breakfast were both lovely. My boyfriend and I would highly recommend this hotel for a romantic weekend away. Stayed at the Logh Rea Hotel overnight last Wednesday 4th of September Found the hotel to be very comfortable and the staff extremely friendly and efficient. We did not have dinner in the restaurant but just had bar food instead which was very nice and very reasonable. 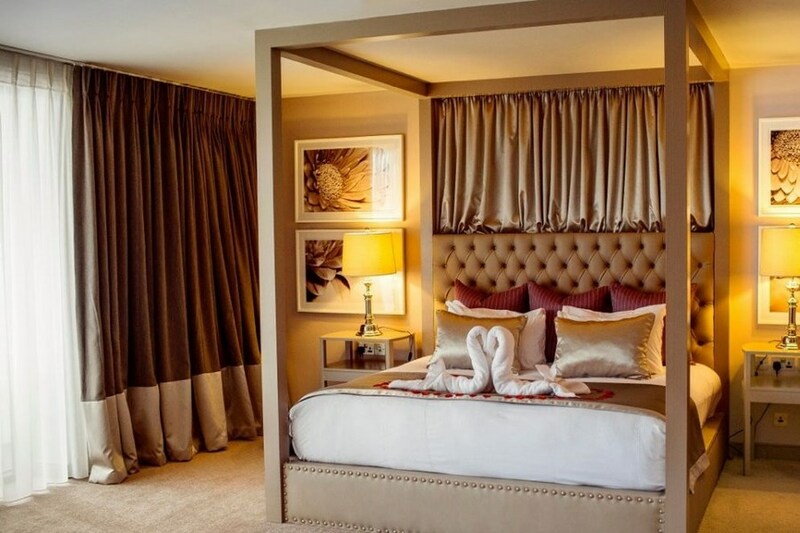 The bedroom was very comfortable with a lovely view overlooking Lough Rea. All in all great value. Richard Kiernan. We are a family of 4 (2 young childern) and we thorougly enjoyed our stay at the Lough Rea hotel. The accommodation was excellent, the staff were very pleasant and helpful. We dined in the bar and the food was very enjoyable. The hotel is in a great location for Galway city and Westport. The immediate surrounding area was idea for the kids as we very near the lough and playarea. Overall we would recommend this hotel and location. Really nice hotel.. Great price for a 2 day break.. Staff were really helpful and lovely to us...food was great too.. First time staying here and we shall definately be back... Absolutely recommend it to anyone.. Stayed here recently on a girlie weekend with two friends. We were very impressed with the spa & treatments. All hotel staff were friendly and helpful. We were disappointed only in the restaurant, the steaks arrived warm, not hot and we could not attract the server's attention to send them back. However, I would recommend this hotel to others based on service and price. We had a lovely stay at the Lough Rea hotel. The receptionist and restaurant staff were very friendly. Rooms were quiet and nicely decorated, and the hotel in general was stylish. The spa was nice but a bit run down- most of the relaxation chairs didn't function and other than magazines, there were no extras like fruit juices/nibbles, head phones etc. While the buffet breakfast was just okay and service quite slow, the evening meals in the restaurant were excellent. We would stay here again and recommend it to others. we spent 2nights in Lough Rea Hotel, it was a beautiful place very modern, we had a family room which was excellet standard. i had my 2 children with me so there was plenty of room. the hotel staff were excellent and very helpful and friendly.food was beautiful and very affordable, we would most likely stay there again. 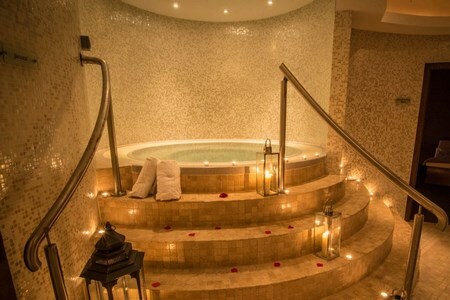 my wife and i stayed in loughrea hotel and spa in april. Hotel room was lovely and clean and nice decor, dinner was lovely but a little slow service, breakfast was lovely. Spa was great and relaxing. Staff were friendly and pleasant. over all a very pleasant stay and would go again and recommend it to friends. We stayed in this hotel for one night over St. Patrick's weekend. We enjoyed our short stay. Lovely food and friendly staff. We would have no hesitation in going back again for another break in the near future. Stayed in the Lough Rea hotel and Spa recently and had a lovely stay. Staff were lovely and helpful from the beginning. Beds are extremely comfortable and rooms cozy. Went for Dinner in their restaurants twice and was impressed with service and food both looked and tasted delicious. Tried out the Thermal Suites in the spa which were a very reasonable price at €15 if staying in the hotel. Was a lovely relaxing experience. A great choice and would definitely stay again and recommend to others. Myself and my husband stayed in this hotel for two nights on the 4th and 5th January, during which time I also had treatments in the spa which were really lovely. Our bedroom and bathroom were very nice, and all the staff we dealt with were also lovely. The only thing I would have to say was disappointing was the meal we had in the restaurant on our second night, the choice was very, very limited and my main meal was a big let-down. The bar food had a much better choice and in hindsight I would have eaten here the two nights. Had a fantastic stay in the Lough Rea Hotel and Spa. Booked a girly weekend for myself and 2 friends, would highly reccomend it . Staff are very efficient and friendly, room was very comfortable and clean. The spa was wonderful and we all availed of different treatment packages that were on offer, very relaxing! The food in the restaurant was lovely with the only complaint being that there was little or no vegetarian option available! The restaurant wasnt open on Sunday evening but the option to eat in the bar was given. The bar food was excellent and when I ordered a medium rare steak and it came out slightly over done it was immediately replaced and apologises were given and the additional charge was removed from the bill. Would reccomend the Lough Rea Hotel to stay in if you are looking for a quiet relaxing get away, we'll worth the money. Just spent a weekend in the hotel & spa ,had a great time ,hotel is clean and modern,spa is excellent,had small issue with a faulty window on arrival but was fixed straight away .Staff are friendly .location is very handy to the town. Stayed in hotel at beginning of November,two nights b+b plus two evening meals.Had informed hotel before arrival that it was our wedding anniversary and was warmly greeted on arrival and swiftly upgraded free of charge to the bridal suite!!! Food was of good quality and staff attentive and friendly,entertainment in the bar was geared towards older clientelle so didn't spend much time there.The suite we stayed in was fabulous but a liitle chilly,needed to have the air-con on quite high to heat the room.Very little noise at night time so was able to relax and sleep no problem. Good location near to town and would recommend a visit especially in the summer months. Thanks again D F.
Stayed for 2 nights with 3 friends (2 Twin Rooms). Really enjoyed our stay. Hotel was modern, clean and staff were really helpful and friendly. Rooms were a good size and spotless. Anything we asked of reception (problem with tv and sink plug!) was dealt with straight away. Had bar food first evening and it was lovely. Had dinner in the restaurant the 2nd night, starters and main courses were fantastic - really tasty and very well presented. However desserts were disapointing and that is usually my favouite course! Apart from that couldn't fault restaurant, service was superb! One area that I felt they could improve was breakfast, the layout and selection wasnt great. Missed all the juices and fruits the first morning as they were "hidden" in the bar! Overall it was an enjoyable weekend and would go again! Very good location just a few minutes of the M6. Nice lake view. Spa area excellent with very friendly staff Dinner good value and quality Good room size Only downside: shower in disabled room flooded half the bathroom. Water leak from ceiling. Stayed in Loughrea Hotel and Spa on the 22nd of September, Booked B&B, Nice hotel ! Staff could not be anymore helpfull. We availed of the Spa which although a little compact was more than adequate. Ate in the hotel restaurant, good choice of food , I had the duck which was lovely, my Wife had the Cod which was also excellent. Bannofie Pots for dessert - very tasty and superb value @ €25 euro for 3 courses. My only gripe with dinner was that my fancy biscuit which was sitting on the saucer beside my apres dinner coffee was crushed - i love to dunk ;) Entertainment in the bar was lively and the beer was good, smithwicks @ 3.80 a pint. and the hotel was busy which created a nice atmosphere. I would definatly stay here again, and recommend it highly. Stayed at the Lough Rea Hotel recently for three nights with my partner and two children. First impression of the hotel was that the entrance was quite dirty, with ashtrays overflowing at the entrance, it looked like they hadn't been emptied for some time. The hotel itself was well designed and quite modern, the furnishings and decor were all good quality and very contemporary, but sadly the hotel is let down by the low standards of cleanliness, especially in the common parts. For example the carpet in the dining room was always covered with bits of food, on the last evening what looked like a chunk of chewed up old beef was on the floor next to our table. The bedroom was well equipped and a very good size, however it would have benefitted with a good vacuum as it was very dusty. The problem overall in the hotel seemed to be a shortage of staff. It was a shame, as the standard of cleanliness overall did not reflect the four star rating, this could easily be resolved with a few extra staff and an overall deep clean. Very nice hotel ,friendly and helpful staff ,toilets and rooms and overall hotel kept very clean.good food menu all day.indoor play area for kids came in very usefull and was good fun .little problem with wifi but got by. Overall no problem would go again .